I went to Peru’s Machu Picchu and Sacred Valley with a dear friend of mine to celebrate the big 4-0. To mark this milestone birthday, I had a certain scenario in mind. After an absolutely punishing year that included a health scare, job loss, a move, the aftermath of a nasty breakup and a family tragedy, I imagined myself standing powerfully on top of Machu Picchu, where I’d throw my hands up in the air and shout: “Hey world, look at ME! I am a goddess! A superheroine! A doer of great things!” But then, something unexpected happened. As I stood there nearly a mile and a half up in thin air, it became abundantly clear that this experience would be less about shouting at the world to pay attention to me and more about me paying much respect and attention to nature and Pachamama (the Inca’s Mother Earth). Instead of shouting, I got quiet. I stood there tingling from the sly smack in the face nature had delivered. 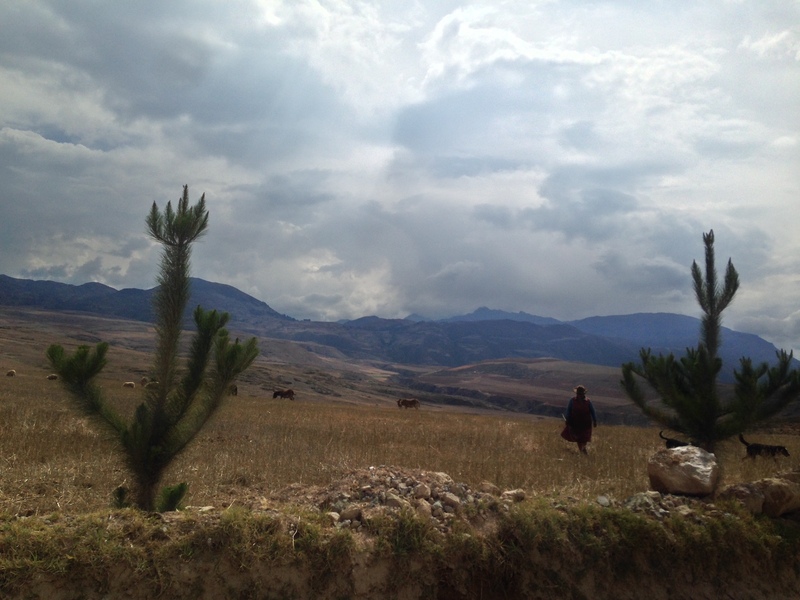 Before me were the hulking, lush Andean mountains so tall they brushed up against the clouds, some with snow-covered peaks. Below, the snaking café au lait-colored Urubamba River sustains the communities living in one of the most sacred spaces on earth. That’s the wonderful thing about traveling. It sets you straight. Yes, I felt small in that space, but it was an appreciative small, a powerful small, a motivational small. 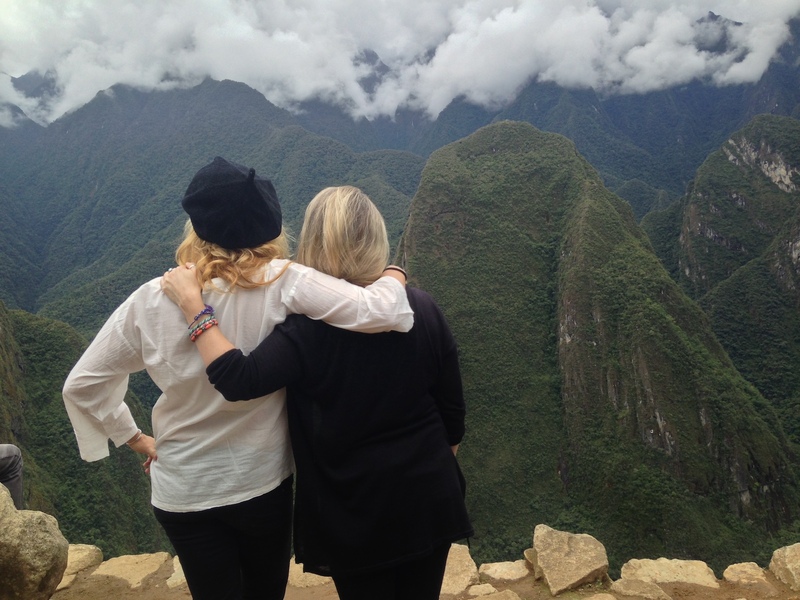 Below are nine tips, if you’re seeking a similar experience in Peru and Machu Picchu. In July 2017, several changes were made to the Machu Picchu entry rules in order to help further protect the precious fortress of the ancient Inca civilization that dates back to the 15th century. Now, there are two blocks of visiting hours: 6 a.m. – 12 p.m. and 12 p.m. – 5:30 p.m. If you want to stay from 6 a.m. to 5:30 p.m., you’ll have to purchase an a.m. and a p.m. ticket. 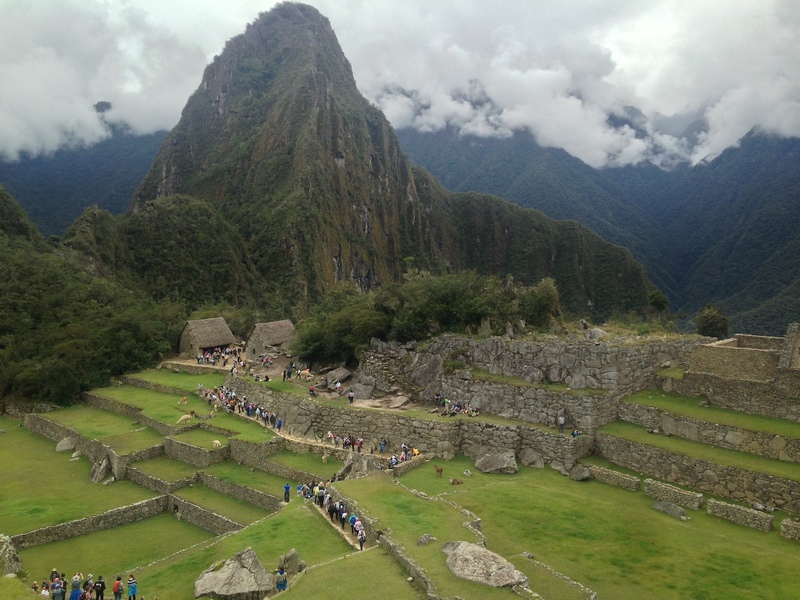 The total number of Machu Picchu entry tickets offered daily is 5,000 (2,500 per visiting hour block). In addition, it’s no longer possible to enter without a guide. And, if you thought you’d pop out and use the bathroom by the entrance during your tour, think again; once you’re in, you’re in. My advice: Book a private tour and go after sunrise. Not only will you save time not having to navigate the government’s slightly awkward site to get tickets, but you’ll also be able to choose a less hectic time for your ascent. We booked a private tour for two from Aguas Calientes with Viator ($290), run by local operator Viajes Pacifico. Not only was our guide Nelida knowledgeable and thoughtful, but she also served as our Machu Picchu bodyguard and photographer. When choosing the train to Aguas Calientes (Machu Picchu Pueblo), go with PeruRail’s Expedition — more spacious, cleaner windows and therefore better views, plusher and comfier seats than other options. With 1 million-plus visitors annually, best to book any and all tickets and tours 3-6 months in advance. 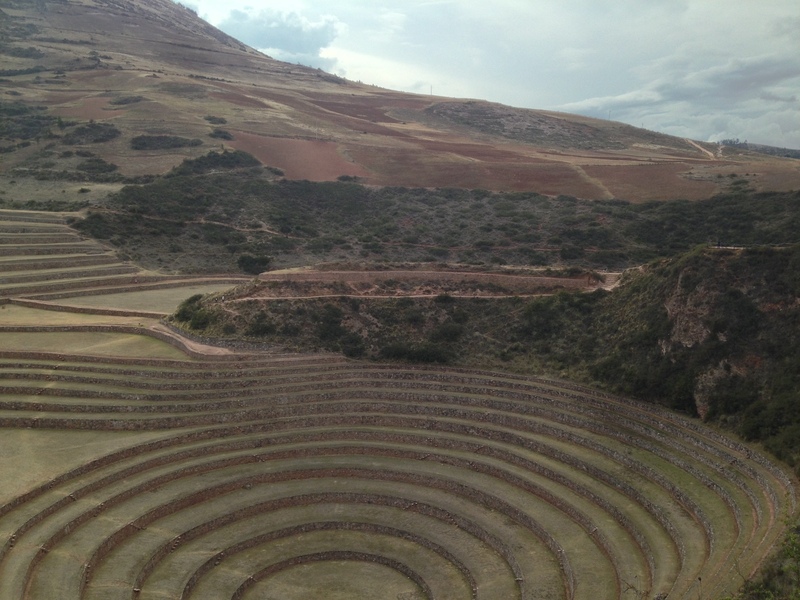 Not only can drivers shuttle you between your home-away-from-home and the airport, but they may be able to take you on extended car excursions to spots like the Sacred Valley. Take down the driver’s name and contact info for future car sightseeing journeys and keep in touch using WhatsApp. My advice: Snap a photo of the car’s license plate (matricula). Agree on the fare before getting in and as far as tipping your driver, it is not customary. Go with your gut but know Peruvians don’t. Spanish in Peru is to Spanish in Spain as English in the U.S. is to English in the U.K. — that’s my take anyway. Here are some distinctly Peruvian words to get you started: Chevere (chulo=cool! ), jato (casa=home), chamba (trabajo=job), pata (amigo=friend) and palta (avocado). 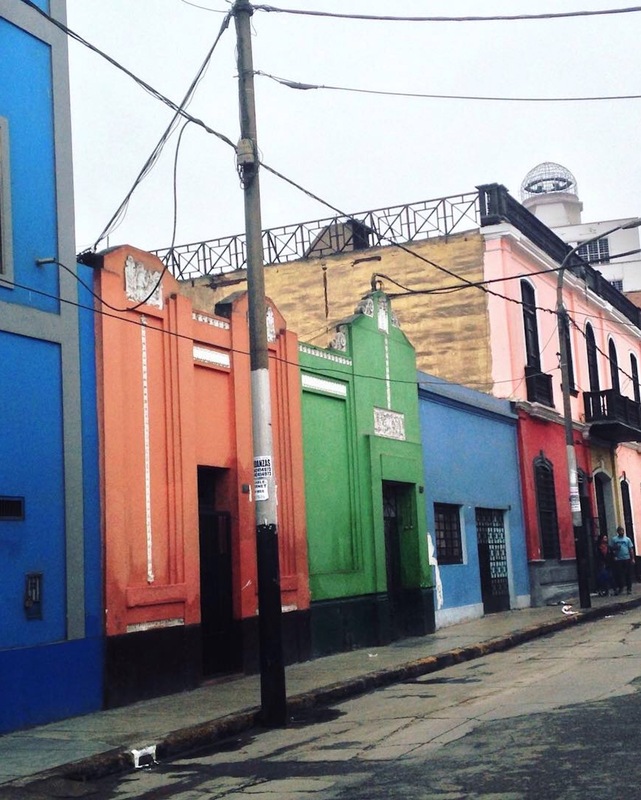 In Lima, you will find most everyone will tell you that something is located exactly 4 blocks away (a cuatro cuadras). A 1.5-hour flight away in Cusco though, most everything is 12 blocks away (a doce cuadras). Why? Ni idea (no idea). My advice: For currency translations, try XE app. While U.S. dollars are accepted in most tourist areas and you can take out dollars from most ATMs, you should aim to use Peru’s sol when making purchases. Using a host country’s currency only helps to strengthen its value. Known as Willka Qhichwa in the Native South American language of Quechua, this area carved out in the foothills of the Andes Mountains by the Urubamba River stretches nearly 40 miles west to east from Machu Picchu to Písac. There are so many breathtaking vistas that you’ll certainly fall silent during the 5-hour journey from Ollantaytambo and its ruins built for Inca leader Pachacuti (The Earth Shaker) to Cusco, the former Inca capital known in Quechua as The Belly Button of the World. We paid $150 for a full-day car tour. Explore the working Salineras de Maras salt mines that from afar look like white honeycombs stuck to the sides of Andean peaks. Stand amidst the extraterrestrial-looking landscape of a former Incan agricultural experimentation site in Moray. 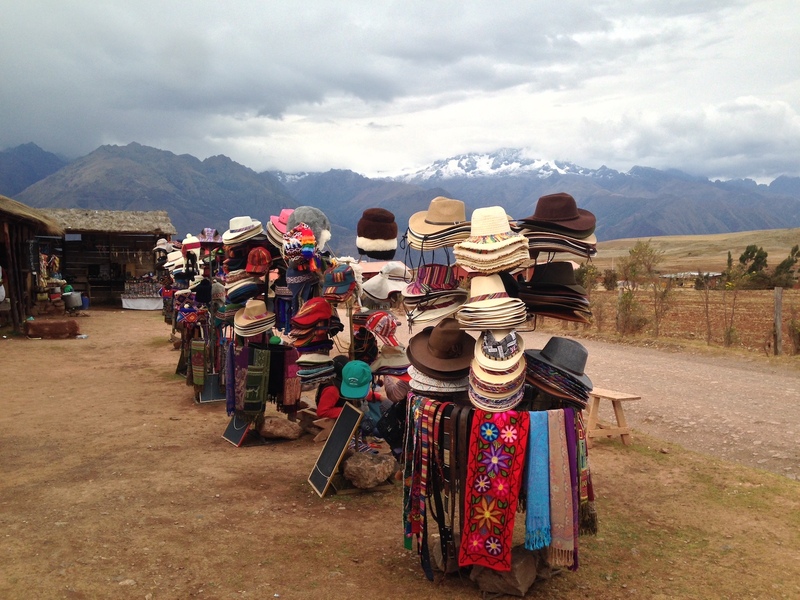 Visit the textile hub Chinchero, but be prepared to be approached rather aggressively by people selling their wares. After all, this is their livelihood, so they will do whatever they can to make a sale. My advice: Get the entry pass to various sites (boleto or boleto turstico). And be sure to buy some chocolate with Maras salt for the folks back home (and yourself)! In Lima, know that your stop might not be announced. Best to know the nearby landmarks and name of the destination stop (paradero) — equally important is knowing that information for your departure point. You will eat better than you ever have in Peru. Fact. There is a whole world of dishes to discover beyond ceviche made with sea bass (corvina) in the coast and trout (trucha) in the mountains. Try: aji de gallina (chicken in a creamy, nutty and spicy yellow sauce), anticuchos (skewered grilled cow heart), choritos a la chalaca (ceviche-like dish served in mussel shells), tiraditos (raw fish, sashimi-style drenched in a spicy sauce), papa a la Huancaína (boiled yellow potatoes in a spicy cream sauce), jalea (fried fish with ceviche lime, onion, and spicy flavoring), seco de cordero (lamb in a cilantro stew), tacu tacu (Peru’s take on rice and beans) and causa (layered tower featuring cold potato, seafood salad, and avocado). You’ll quickly see that potatoes are featured prominently in Peru’s cuisine and that’s because of the more than 4,000 varieties of potato in the world, Peru produces 3,000 of them! Also plentiful is chifa (Chinese Cantonese cuisine reinterpreted using Peruvian ingredients). These dishes arose from the influx of Chinese immigrants, most of whom came to Peru as indentured servants in the 1850s. Chifa dishes include lomo saltado (sirloin stirfry with fries) and arroz chaufa (Peruvian fried rice). Wash down the delectable dishes with Inca Kola, Peru’s florescent yellow-colored, bubble gum-flavored soda that serves as the national drink, a Cusqueña (beer from Cusco) or pisco sour, made from the nation’s signature grape-based high-proofed spirit. To keep altitude sickness at bay, drink coca tea made from the leaves that are used as the basis for cocaine. The leaves not only oxygenate the blood, a must in the thinner, oxygen and pressure deficient air, but also provide high quantities of nutrients like Vitamins A and B, calcium, iron and protein. My advice: Get ceviche and causa at Lima’s Canta Ranita (located in an open-air market) and Punto Azul, jalea and seco at Isolina, tacu tacu at Punto Marisko, aji de gallina at Gastón Acurio’s Tanta. Acurio is credited with placing Peru’s cuisine on the world stage. Get chifa at Cusco’s Kion (the name means ginger). Want to bring prosperity and happiness to a home? Purchase a pair of painted ceramic pucara bulls, but do note that the luck won’t work if you buy them for yourself. Find someone else to make the purchase and gift to you. Stop at Machu Picchu’s sacred four-sided stone and meditate there. Before your trip, scan the internet for nonprofits and organizations that align with your interests. Carve out time to visit the organization, volunteer your time, make a donation or do whatever is possible given your timeframe. We went to Asociación Pukllasunchis, a bilingual private school, which developed its own Quechua curriculum and focuses on preserving and honoring indigenous practices, as well as stresses learning through the arts. At Puklla, they are all about inclusion and togetherness. Cusco’s The Meeting Place, a travelers’ café in the San Blas neighborhood has a Pack a Bag initiative. Make a donation and a bag is filled with school supplies for a child in need. Off-line wandering led my friend and me to Lima’s Rimac neighborhood, one of the city’s oldest areas and a World Heritage Site. My advice: Get Osprey’s Fairview 40 women’s travel pack, a crossbody like these by Misako, a Zomake Ultra Lightweight Packable Backpack Water Resistant Hiking Daypack and Merrell Women’s Siren Edge Hiker. Carey is a bilingual writer and editor with a master’s degree in journalism from Columbia University. Her writing has been featured on PBS NewsHour, Travel + Leisure, Untapped Cities, and Trip by Skyscanner, among other outlets. Carey currently calls New York City home and works there as a communications manager in Development for the American Museum of Natural History. When she’s not hanging out by the Museum’s life-sized dioramas, she’s plotting her next global adventure and working on a children’s travel book. Find her work at: CareyeReed.com.